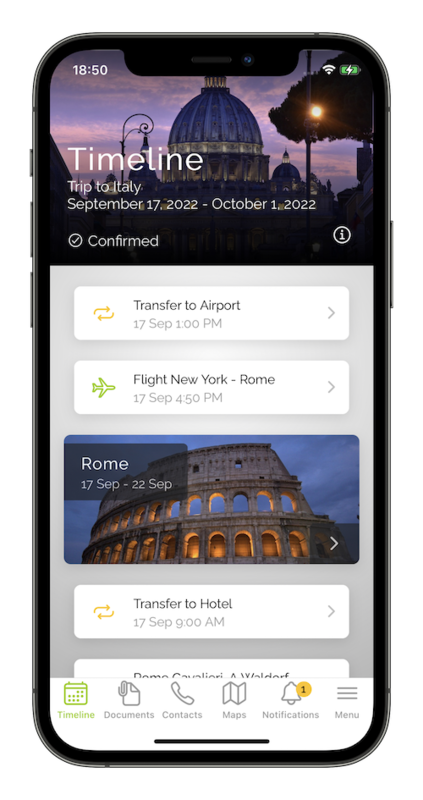 The timeline show all the itinerary steps and booked services organized day by day. A simple tap on a step or service show you all the usefull details. Through the timeline the customer have also access to travel information, agency information and documents. 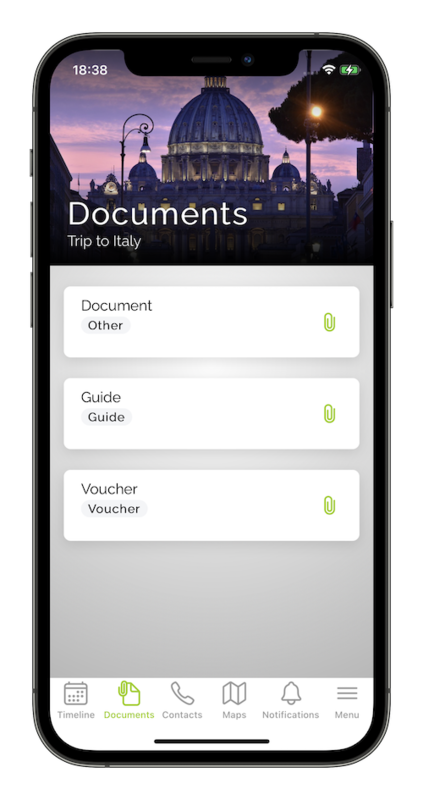 All Trip documents are downloaded in the app. Your customers can forget the paper and all the problems having the documents always on their mobile. It’s possible to attach documents to trip, step or to individual services to make it even easier find and use them. All services can be included in the map to make the trip even easier and customized. 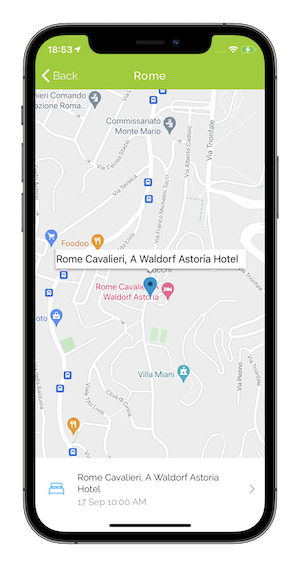 The maps can be downloaded for offline use, this is a practical and useful tool for your customers travelling around the world. 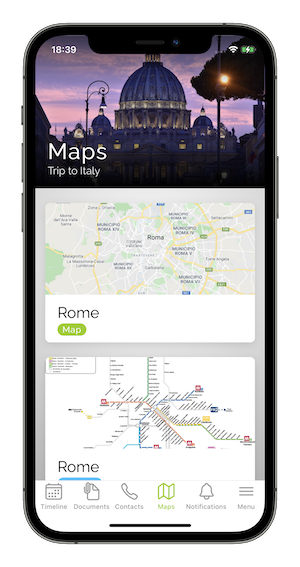 The traveler can also save or add his favorite places on the map to personalize his experience. 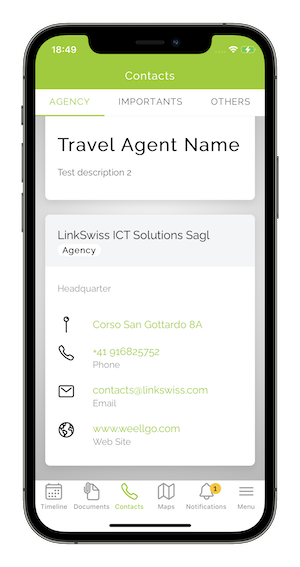 A Travel Agent dedicated screen with logo, description and useful contacts. You can also add useful contacts to all the services of the trip and any assistance contact. 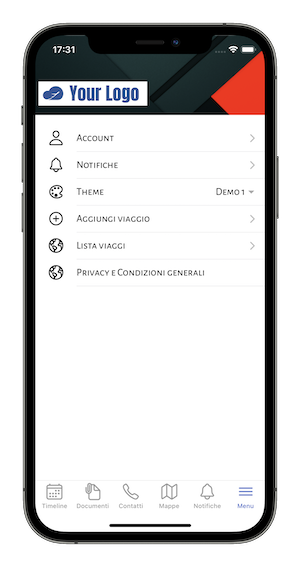 With this feature your customers have an easy way to retrieve all informations when needed. 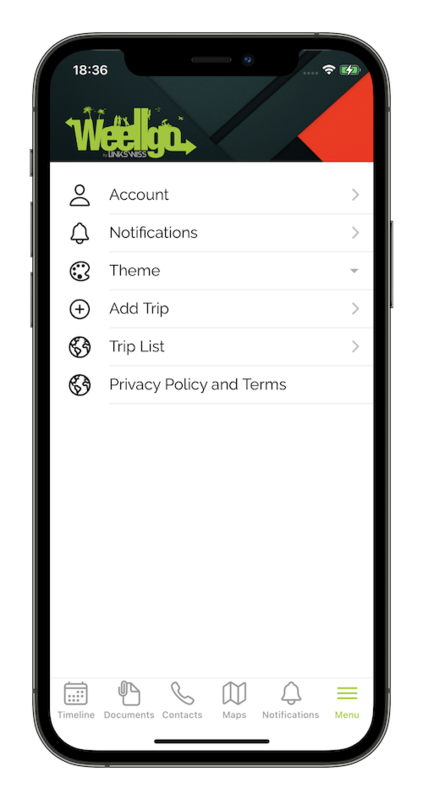 Send unlimited notifications to your customers, for example, changes in flight schedules or shifts. You can also send hotel upgrades or suggestions for optional excursions. 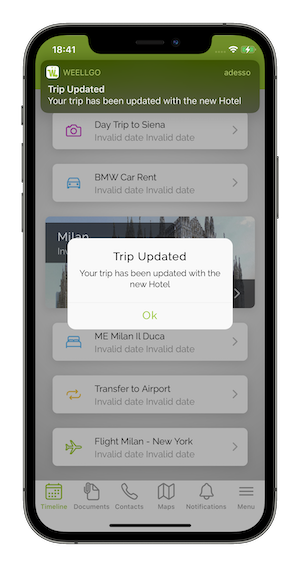 Notifications are sent directly to all devices associated within a trip and will be displayed with either open or closed App. Published on stores with your Company name! All you need to make the App a tool of your business and adapt it perfectly to your brand image. 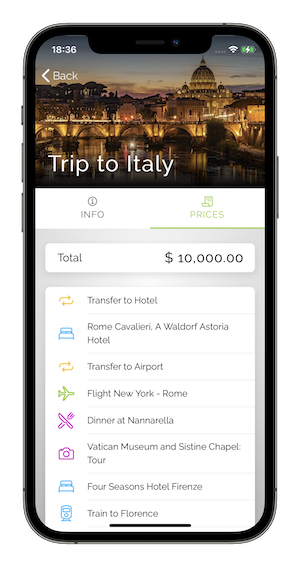 We are already working on new features that further enhance the customer’s travel experience and help you to generate new revenues in the most simple and effective way. How to manage your trips?